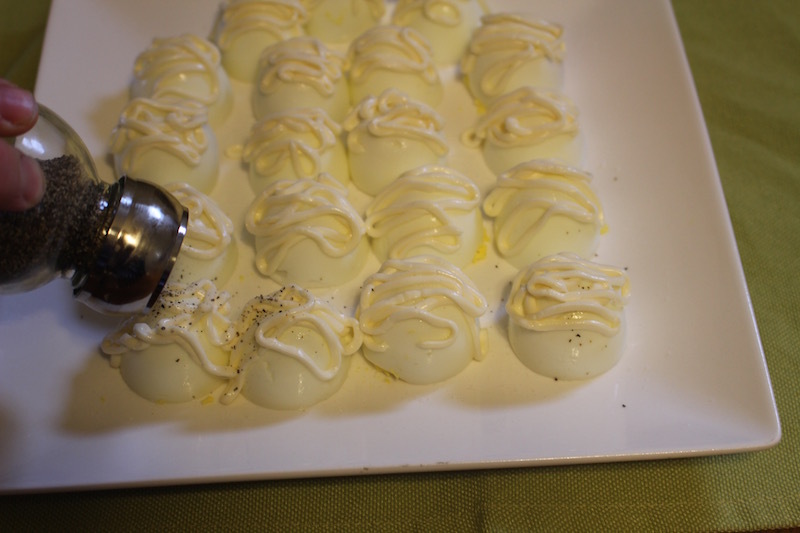 These beautiful eggs only take 7 mins to put together and contain lots of protein. If you have a day were your not feeling to well just make one portion and enjoy it. 1.) 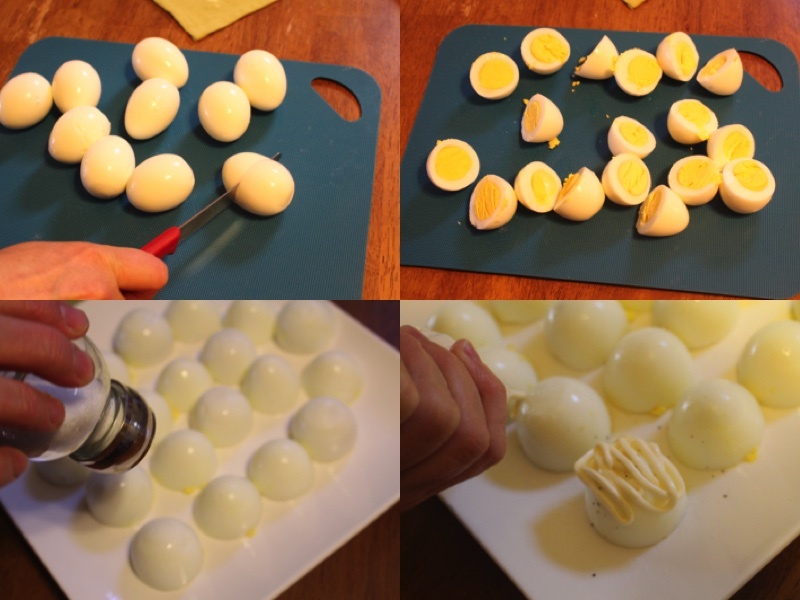 Cut each egg in 1/2. 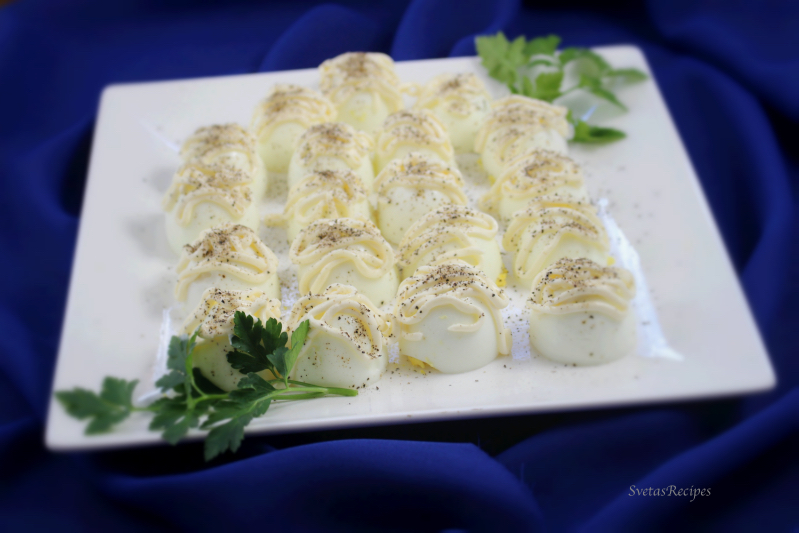 Flip them over onto a plate, sprinkle salt, place a portion of mayo and add some pepper on top. 2.) Place on serving dish, decorate and enjoy. 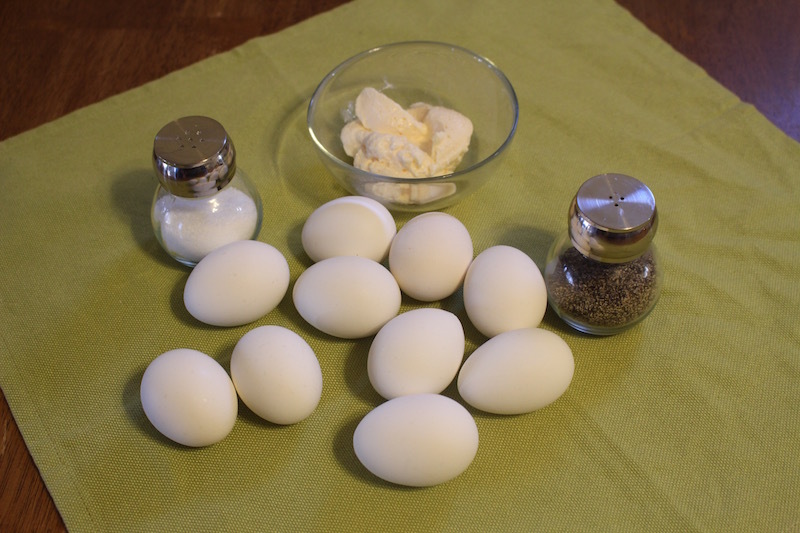 Cut each egg in ½. Flip them over onto a plate, sprinkle salt, place a portion of mayo and add some pepper on top. Place on serving dish, decorate and enjoy.